Popular returning guest Tom Nardone, of The Tom Nardone Show, walks through his book Chasing Kites, detailing his childhood stories of dealing with life, school, family, and ADHD. A many-time prior guest of ADHD reWired, Tom has been, on episode 34: Married with Separate Bedrooms and 54: The Tom Nardone Show amongst others. 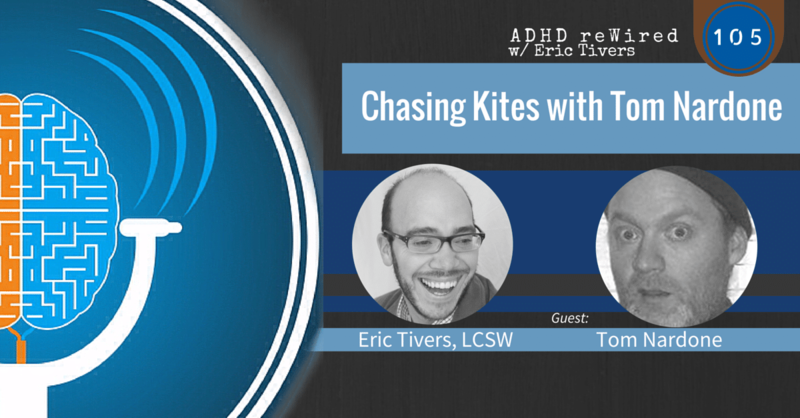 Tom recently wrote a memoir about living with ADHD entitled Chasing Kites. After reading the book, Eric felt he had a much greater understanding of who Tom is as a person. Tom too learned a lot about himself and why he acted as he did throughout his life. Eric found reading about Tom’s school experiences heartbreaking. He suggests teachers should read the book because no one should have to endure what Tom went through. Tom’s experiences in school lead to him now maintaining a certain level of indifference to society and its structures; by tenth grade, Tom had been built up to completely stop all effort to be social, attend college, and be friends with the terrible people he had met up to that point in school. In first grade, a student named Roman would regularly pick on Tom, encouraging others to join in the process too. One day, when Tom was in the bathroom at school, Roman peed on Tom’s shoe from an adjacent stall, leaving Tom to walk around embarrassed due to the smell and squishy sound of his shoe for the rest of the day. In retaliation for his shoe, Tom went to the bathroom when Roman was there. Seeing Roman’s shoes beneath a stall, Tom went to steal his shoes, but instead ended up grabbing his shoes, pants, and underwear in one pull. Panicking, Tom stuffed it all in his backpack as the end-of-school bell rang, and bolted out of the school and onto the bus. Tom isn’t proud of it in retrospect, but when he saw Roman’s mother crying about the incident the next day in school, he felt a sense of joy. In second grade, Tom remembers how his teacher would task the class with learning the names of the state capitols and their state’s location. The teacher would read the capitol name and a student would have to point to its correct state on a map. In anticipation of being called up, Tom studied the information, or tried to, each day after school. He would become bored and distracted, however. Despite spending many hours attempting to study at home, Tom still failed to name the capitols in school. He would go home and study while knowing for certain he wouldn’t end up any better. 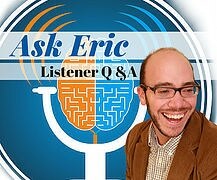 Eric remembers having a similar problem with understanding fractions as a child. No matter what his teachers tried, he wasn’t able to grasp the concept. Tom remembers his father, when asked, didn’t really know all the capitols either, which suggested to Tom that the topic wasn’t that important. In fourth grade, Tom was struggling academically and socially, just barely edging by with his grades and having no friends to speak of. Near the end of the school year, the school planned a “field day” wherein each class would compete against each other through various sports and games. During a class practice, Tom threw his Frisbee the farthest of everyone. Seeing others who had been mean to him prior suddenly congratulate him, Tom refused to compete in the field day. His teacher told him it wasn’t a choice and he would be competing anyway. Out of spite, Tom then tried his hardest during practice. When it came time for the actual field day competition, however, he stood there, flicked his wrist a little, and intentionally lost the Frisbee competition. For the rest of the field day, Tom sought to make his team lose as badly as possible, intentionally shoving his partner into the ground during the human wheel barrow race and intentionally slipping, tripping other students multiple times throughout the tug-of-war. Despite all his efforts, instead of only the winning class having an ice cream party, all of the classes had one. Sickened by unsuccessfully depriving his class of ice cream, Tom didn’t eat any. In sixth grade, his teacher would have students grade each other’s tests. Part of this process required the grading student to write their initials on the paper to indicate it had been graded – if they did not write their initials on the paper, the student who took the test would receive a zero grade. When Tom received his report card, it showed straight F’s. No one wrote their initials on his tests. His parents were in disbelief – they didn’t believe him when he said the teacher had such a system. Ultimately, his mother found out he was telling the truth via a conference with the teacher. By the time Tom was in high school, “that entire […] school system just seemed to be the enemy”. It was about escape for Tom. In order meet that goal of escaping, he knew he only needed to do the absolute minimum required to graduate. His senior year, he scored an eight out of one hundred in psychology (though his teacher would later try to artificially inflate his grade). While in the Navy, Tom was stationed on a submarine. As a requirement, all crew members had to know how all of the submarine’s systems worked and how to operate them, which was fine with Tom, as he was very interested to begin with. Tom would sometimes involve himself in projects on the submarine simply because he wanted to witness and learn more about its operation. While out to sea and ready to dive the submarine, Tom saw via a monitor that the head valve (which is supposed to be closed prior to a dive) was still open – he noticed a stem atop the valve was still protruding slightly, when it was supposed to be flush with the hull. Upon notifying the executive officer, who didn’t hold a high opinion of Tom, of the problem, Tom was loudly rebuked, with the officer accusing Tom of trying to do his job for him. The captain, hearing the commotion, asked the two of them what was going on. Calling in another member of crew for a second opinion, it was confirmed that the head valve was indeed open, further annoying and embarrassing the executive officer. Tom guessed that, as was standard practice during maintenance, someone had left a block of wood in the structure, preventing it from closing completely. Sure enough, another crew member found such a block after surfacing the sub. Briefly, Tom worked as a door-to-door salesperson, selling satellite TV equipment. He was especially talented at it, and one of the most successful at his employer. Unfortunately, it didn’t last long, as the rise of big box electronics stores offering free equipment to subscribers drove his job out of viability. During a single year, Tom held 21 different jobs. Talking of his father, Tom remembers how he was proud of never having been fired from a job. Tom, on the other hand, had never held a job for much more than a year before his current job (which he’s now had for seventeen years). On his apron at work, Tom had written “Hi, I’m ADHD,”. A man inquired about it one day, telling a story of struggles with his son in school and worrying about whether it was his fault or not. Tom relayed that shouldn’t blame himself – “it’s just a unique way that a small group of people in the world think. There are ups and downs, but the fleas come with the dog.” While his son may be short tempered, maybe he makes up for it with his creativity and empathy. Tom wanted to emphasize the importance of the moment he first took medication. For days after he received his medication, Tom refused to take any of it. For those who recently found out they had ADHD, Tom thinks that this book can hopefully stir their memories of when they were children and the similar experiences they may have had. During Tom’s vacation time, he started writing, became “obsessed”, and ended up writing the whole book over the span of six days. Tom equates the experience of obsessing over writing his book to obsessing over playing a particular videogame. With certain videogames, Tom will focus almost entirely on them when he’s not at work. For his book, he was on vacation and during that time it didn’t make sense to him to do any task other than write his book. Another motivating factor while in the middle of writing, was being able to progress through and past some of the more challenging topics in Tom’s life. He wanted to finish writing those first few chapters so he could then write about “the fun stuff” later in his life. Writing about the time around his father’s passing was, for Tom, just as hard on him emotionally as during that real-life time. Tom highlights parts where he describes stories with his ex-wife as some of the funniest in the book – he would have to take breaks from writing just to stop laughing. A co-worker of Tom’s found out he had written a book, inquired about it, and asked for a copy. She said she had never finished a book from cover to cover before. She read it in four days. The next day, she called her doctor to made an appointment. Now on medication, she is like a different person. Part of the reason Eric wants Tom to promote his book more is so that it can reach a wider audience and his story can help more people. 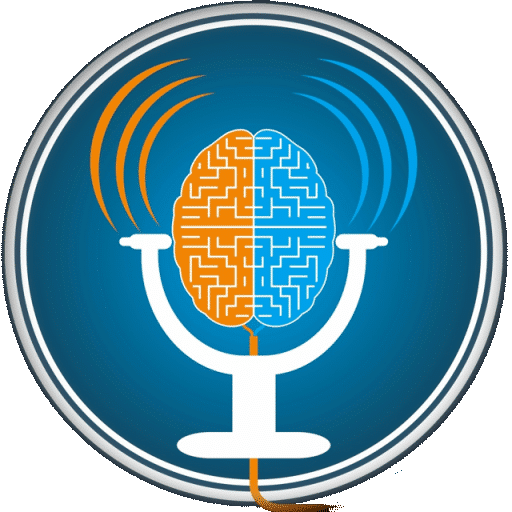 Tom highlights ADHD reWired Episode 103: Beat of a Different Drummer and how Sean Winchester felt his interview on the show was the most important one of his life. 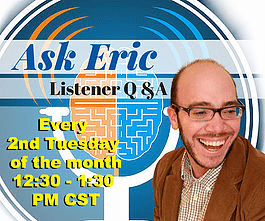 When Tom responded to a listener who commented on his podcast, he was surprised at how big a deal they thought it was for him to respond to them. 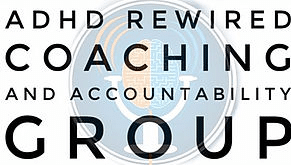 If you are interested in reserving a spot in the next ADHD reWired Coaching and Accountability Group group, visit coachingrewired.com.